Leaky video editor JP has put together a fantastic retrospective today as we close out this remarkable year, this tenth year of Potter. You can view it at the YouTube viewer below, or by using the download link to save it to your own computer. 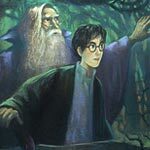 It will also shortly become available on the feed of our Harry Potter podcast and in our galleries. Huge thanks go to this JP for this excellent video! We hope you all enjoy and that it brings back many memories of these years.